Our complete range of plumbing services will make sure that all your plumbing systems – which includes gas, electrical, refrigeration, heating, and cooling – are running safely and efficiently, without costing you a fortune in running costs. 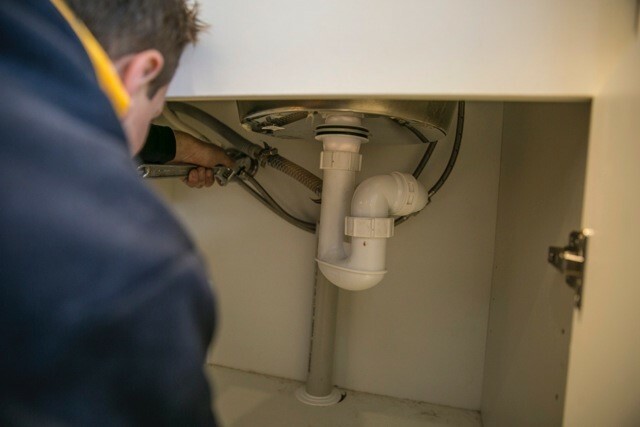 Wherever you are based in Canberra, our certified plumbers proudly service the main city centre and surrounding suburbs, which means you spend less time waiting and reduce costly downtime in the process. Best of all? Each of our plumbing services are backed by a workmanship guarantee to give you lasting peace of mind. Our plumbers are fully equipped with the latest technology and know-how to expertly design, install, and maintain your plumbing facilities. Whether your job is big or small, the team will provide a custom solution for you at an affordable price. From you moment you get in touch with us, we take the time to clearly understand your needs, and give you an honest upfront quote before any work begins. You will know exactly what to expect every step of the way. With a wealth of knowledge and experience dealing with all major brands, our licensed plumbers in Canberra can confidently work with products, appliances, and systems of any brand or type with absolute ease. When you have an urgent plumbing issue occur outside of normal business hours – even during holidays and weekends – you can count on Oldmate ACT to get you out of any jam… fast! Our 24 hour emergency plumbers are fully-equipped to handle any kind of plumbing problem – be it gas, electrical, refrigeration, heating, or cooling – and they will strive to resolve the issue on the first visit. Once the problem has been diagnosed your friendly plumber will recommend a tailored solution to suit your circumstances and budget. Whether your plumbing needs are big or small, Oldmate ACT can provide a full range of plumbing solutions to meet your needs. With total coverage of Canberra and the surrounding suburbs help from an expert plumber is one easy call away. Request a free quote from your local plumber in Canberra today. Simply call (02) 6254 6576 or kindly fill out the online form for a fast, friendly response.